It’s rare that a scene from a film gives birth to a phrase used in common parlance, but that’s exactly what happened in Brit Adrian Lyne’s 1988 film Fatal Attraction. 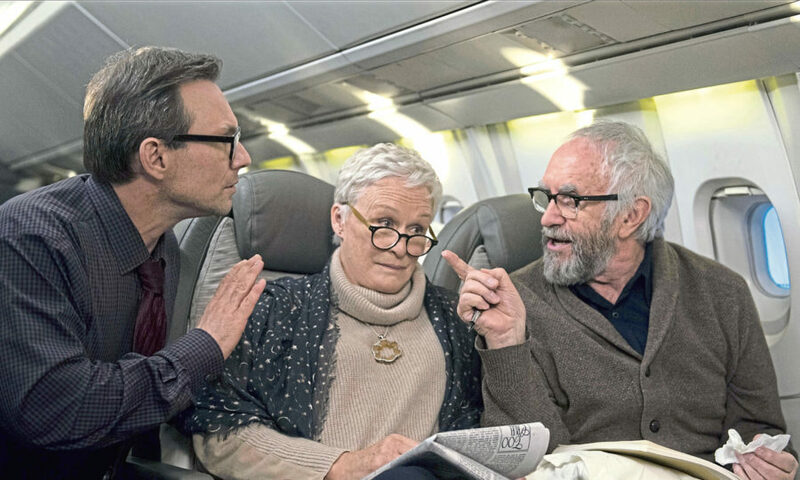 Not only did the scene in particular, and the film in general, make a star out of Glenn Close virtually overnight, but her character’s actions led to the term ‘Bunny Boiler’ added to our general lexicon. Since then Close has gone on to be rightly considered one of the finest actors of her generation. But despite numerous Oscar nominations – her performance in this film marks her seventh to date – she is yet to walk off with a gold statue under arm. Will her role as supportive wife Joan Castleman mean seventh time a charm? Listen Slater we agreed, you would have Glenn every other weekday! 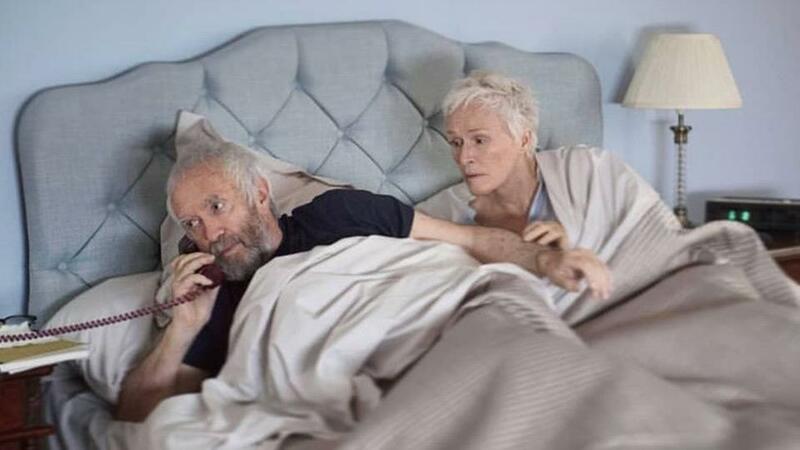 Connecticut, 1992, and mature couple Joseph (Jonathan Pryce) and Joan (Close) are just settling into bed when they get an unexpected phone call. It’s Stockholm calling, with some excellent news: Joseph has been selected as that year’s recipient of the Nobel Prize for Literature. It’s December now, and the pair make their way to the chilly climes of Sweden for the presentation. They’re not alone however, as their son David (Max Irons), who is also trying to make a name for himself as a writer, has joined them. Also in tow is Nathan (Christian Slater), an ambitious writer who is keen to write a biography on Joseph’s life. During their visit, a long held secret the couple share looks like it’s been uncovered by Nathan, which not only has the capacity to destroy all of Joseph’s achievements to date, but also their relationship. I don't care if she has multiple Oscar nominations, she won't stop farting! It’s not every day that a drama comes along with its principle cast in the later stages of life. This film is essentially a two-hander, featuring two established actors in their seventies, both of whom deliver solid performances. Yes Close is the one with all the Oscar buzz, but that shouldn’t take anything away from Pryce who matches her, scene for scene. Unfortunately their good work is slightly undone by a Ryvita dry script, and some pedestrian direction. It’s as if Swedish director Björn L Runge (helming his first English language film) was attempting to channel Bergman, but it just doesn’t work with your two central characters being American. The film as a whole is akin to an IKEA Billy bookcase; sure it’s practical and does the job, but aesthetically, it’s all rather bland and dull. It’s not an Oscar worthy performance by any stretch of the imagination, and with some strong contenders in the Best Leading Actress category this year, the only way Close will pick up Oscar is if the Academy decides to right several wrongs of the past, where she had a legitimate claim to win. Which may just happen. If only these actors could have been unleashed to really push the material for this project to have a chance of realising its potential, for better or worse.